Cape Town - After months of wrangling, the combined trade unions represented at the National Economic Development and Labour Council (Nedlac) may at last be reaching an agreed position on a national minimum wage. A meeting of the labour group will be held on Tuesday to thrash out remaining differences, before a meeting with President Jacob Zuma on the following Tuesday. Should agreement be reached on Tuesday, this meeting could be the prelude to a move within the next few months to establish a national minimum wage. However, how, whether or when any such determination will apply to existing low wage determinations for domestic, farm and forestry workers remains to be decided. There are fears that the minimum wage issue may run into the same quicksand as did the failure to see any real move on the question of how to deal with labour brokers. On that issue alone, there were 54 separate meetings. However, this time, the various parties do seem closer together. 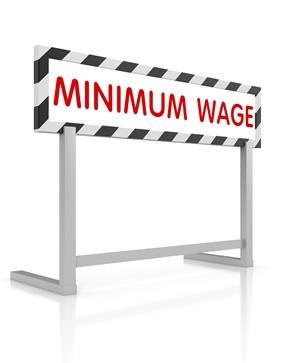 Government has indicated that a national minimum wage of slightly more than R3 000 a month may be acceptable. This is roughly in line with the mandated position of the Federation of Unions. However, Cosatu has continued to press for a R4 500 minimum although officials have hinted that this could drop to perhaps R3 700. The National Council of Trade Unions, the third member of Nedlac’s labour component, wants minimum wages on a regional or even sectoral basis, a position that seems untenable.